For starters, the so-called “golden” rice (GM rice that expresses provitamin A) that they defend with such enthusiasm doesn't even exist. Not because of Greenpeace’s or any other organization’s criticism, but because their promoters have failed to make a viable formulation, despite almost 20 years of research and more than 100 million dollars invested. Nor have they shown that it would have effect in providing vitamin A. 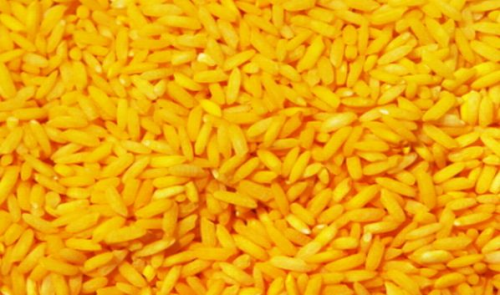 The first version of this GM rice with beta carotene (GR1) was an accident by two Swiss researchers who were experimenting with something else, so the process was never controlled exactly. The first version would have required someone to eat kilos of rice every day to ingest the necessary daily dose of vitamin A. Then Syngenta bought the license from them and donated it, in a PR move, to a foundation where the Syngenta Foundation is also a member. But Syngenta retained the commercial rights. In 2005, Syngenta announced the GR2 version with more pro-vitamin. But there has been no proof of the vitamin being reliable: it oxidates easily and in postharvest the content of the vitamin can be reduced down to 10 percent of the original content. Several scientists have pointed out the risks and myths of golden rice (among others, D. Schubert (2008) and Michael Hansen (2013); http://goo.gl/ChvI4Q). Because golden rice involves experimental genetic manipulation that alters the seed’s metabolic pathways, the process could result in unforeseen changes in the rice, with potential risk of serious health effects. The letter assumes that hunger is due to the lack of food, which is false: world production could provide enough food for all planet inhabitants now and in 2050. If there are hungry and malnourished people, it is because they have no land to produce or have no access to food. The agroindustrial food chain, which also holds GM seeds, wastes from 33 to 40 percent of the food produced according to the FAO, a volume enough to feed all the hungry people in the world. In addition, as Greenpeace reports in its response, 75 percent of agricultural land is used to produce agrofuels and fodder for animals in factory farming, not food (goo.gl/e5xEwc). The claim that GMOs are proven to be safe for the environment and health, has been rebutted with arguments and scientific references by more than 300 scientists convened by the European Network of Scientists for Social and Environmental Responsibility (goo.gl/VM8i3W). But perhaps the most remarkable thing is that the letter does not mention that only six transnationals (in the process of becoming just three) control all GM seeds in the world, 61 percent of all commercial seeds and 76 percent of the global pesticide market. (http://goo.gl/y3L8hv) How much lack of ethics and honesty is necessary to hide that your proposal on precision agriculture is the business of a handful of transnationals, each with a long history of violating health and environmental and human rights? The shadow of the transnationals falls heavily over this “scientific” letter. They proclaim themselves to be worried about hunger and undernourished children in the Global South, but choose to announce the letter at a press conference in Washington, USA, at a very convenient time to favor GMOs companies: just a week before Congress must vote on a law about the labeling of GMOs which would prevent US states from making state-level decisions on the issue of GMO labelling. The law seeks to revoke the labeling rule that took effect on July 1st in Vermont, after a referendum voted in favor of it. Greenpeace was blocked to enter this press conference—Greenpeace’s representative was blocked by Jay Byrne, a former chief of communication for Monsanto, who amazingly, worked as the conference’s gatekeeper! (goo.gl/i8FXDg). Far from scientific altruism, organizers and signatories of the letter, Richard Roberts and Phillip Sharp, are also biotech entrepreneurs. The site where they publish the letter is a mirror of a commercial sister website that redirects to the Genetic Literacy Project, a propaganda front for agrochemical and GM transnationals. (GMWatch goo.gl/WekAin). The most offensive was their final question: How many poor people have to die before we consider [the critique to GM seeds] a crime against humanity? The signatories of this letter should go immediately to areas of GM soy plantations in Paraguay, Argentina, Brazil, where mothers miscarry and children and workers die of poisoning and cancer by pesticides used by GM crops. These are crimes against humanity. * Latin America Director for ETC group.